The rush toward summer means we are moving into the teeth of the outdoor festival season, Large events are on the way. Next week's Cheers to Belgian Beers festival, which has built a sizable following, celebrates its 10th year on Friday and Saturday, May 13-14. 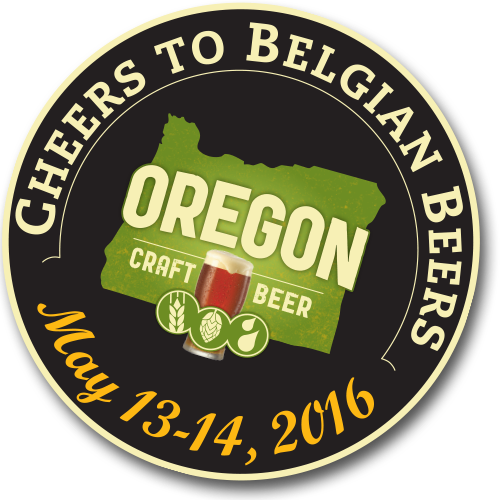 What's unique about the event is that its 70-odd Belgian-style beers are brewed by Oregon craft brewers using the same yeast strain. The strain this year is Imperial Organic 58 Lioness, a yeast that works well in a variety of dark and light beers. To ensure a wide variety of beers, the Oregon Brewers Guild uses a dart throw competition to determine the style (light, dark, high or low ABV) that each participating brewery will produce. Kind of a cool idea, huh? The event is free, which means you can enter the venue and stalk the grounds without paying a dime. If you want to drink beer, $20 will get you a souvenir tasting glass and 10 drink tickets. Most tastes will cost a ticket; some will be two. Additional tickets are $1 each. Advance tickets went on sale a while ago here. Buying in advance will save you time, but not money due to the added service fees. The evolving beer list is here. Cheers to Belgian Beers happens at the North Warehouse, 723 N Tillamook St. Event hours are 1:00 to 9:00 p.m. Friday and Noon to 8:00 p.m. Saturday. Monk’s Deli and the Urban German Grill are the food vendors. Keep in mind that parking in the area is limited. If you can, take public transit (Bus Line 35 stops a block away and the Yellow Max Line stops two blocks away) or ride a bike (bike parking is complimentary). Finally, this event is for ages 21 and over. So please don't show up with the kiddies. 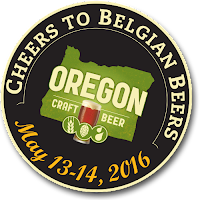 Cheers to Belgian Beers is sponsored by MCF Craft Brewing Systems, Boelter Beverage, The Country Malt Group, Great Western Malting, Imperial Organic Yeast and the Portland Mercury. It is organized by the Oregon Brewers Guild, a non-profit organization whose mission is to promote the state’s craft brewing industry and the common interests of its members. Founded in 1992, the Oregon Brewers Guild is one of the nation’s oldest craft brewers associations, comprising 154 brewing companies, 122 associate or supplier members and more than 3,500 enthusiast members or S.N.O.B.s (Supporters of Native Oregon Beer). To learn more, visit www.oregoncraftbeer.org. The festival is still seeking volunteers, who will receive a glass, 10 drink tickets, and a t-shirt after their shift. An OLCC Servers Permit is not required to participate as a volunteer server at this event. Go here to sign up.